Elegant Villa for rent with outdoor swimming pool, ideal for spending your winter and summer holidays in the beautiful Puglia. 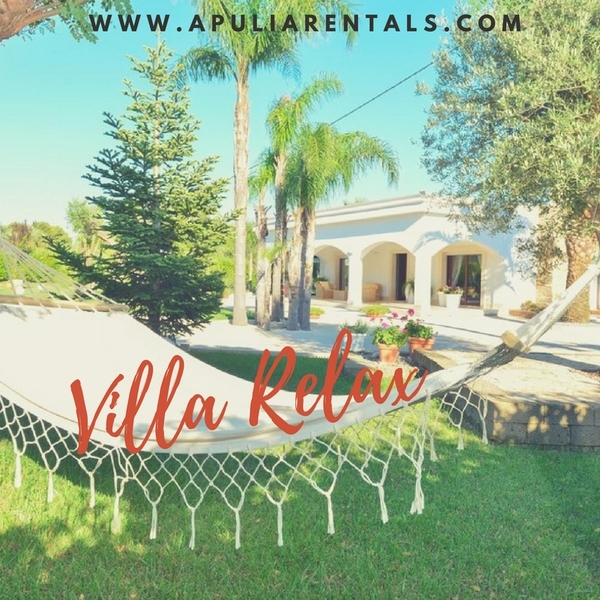 The villa is located between Ostuni and San Michele Salentino: less than 3km from the city centre of San Michele Salentino and 8km from Ostuni, as well as 15km from the blue sea of Salento. The property, completely fenced with alarm system, has 1,000 square meters of garden with palm trees and lawn, garage for exclusive guest use. The house is spread over 130 square meters and is characterized by incredibly spacious, sober and elegant settings: at the entrance, patio/veranda with sitting room, entrance with large living room with sofa / double bed, stone fireplace, kitchen, corridor with access to the sleeping area, no. 2 bright and comfortable double bedrooms, 3 large bathrooms with shower and Turkish bath, double bedroom in annex. Outside, wonderful kitchen with large windows, ideal for tasty breakfasts in contact with nature in a pure relaxation style. Outdoor swimming pool of 3mt diameter. All the rooms inside the villa have heating, air conditioning, large windows in each room, laundry corner outside. 3 bathrooms with shower and turkish bath. Linen and Towels; 4 Gas Cookers; Frindge; Pizza Oven; Garden Furniture; TV; washing machine; Air Conditioner. Bari Apt 80km, Brindisi Apt 30km, Pub/Restaurants 2km, Shop 2km, Banks 2km, Hospital 5km, Station 5km, Brindisi Port 30km, Beaches 15km (Lido Rosa Marina, Pilone, Lido Le Dune), Golf 25km (Fasano - Coccaro Golf), Alberobello 30km, Cisternino 7km, Polignano 40km, Lecce 80km, Bari 80km, Taranto 70km.